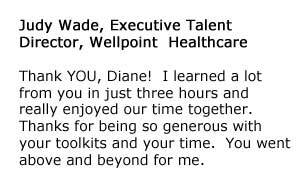 Thank YOU, Diane! I learned a lot from you in just three hours and really enjoyed our time together. Thanks for being so generous with your toolkits and your time. You went above and beyond for me.